Providence Theological School is in the process of permanently locating to Crisfield, Maryland. As a school which began in the Midwest, it has grown to minister to students in 30 states with many portions of the African continent being represented as well as Canada and Australia. The wonderful connectivity of the internet makes this all possible and the school continues to seek new ways to better meet the needs of its student base. After nearly 18 months of joint development effort, the Episcopal Diocese of Pennsylvania has posted on the PTS website their curriculum requirements for those studying for the Permanent Diaconate. Much thought and effort went into this process which allows for individuals from various academic backgrounds to prepare for this ministry. Upon completion of their course work, students will receive a Certificate in Diaconal Studies. In an attempt to address some of the issues in preparation for ministry where individuals are great distance from training centers, two Episcopal priests, the Reverends Paul and Christine Mottl, have embarked on a ministry to meet some of these needs. Both are former educators prior to being ordained and are currently involved in preparing individuals for local ministry. 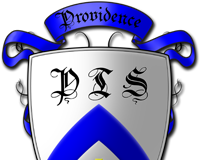 The Providence Theological School is their attempt to bring affordable, self-paced theological education to those who would otherwise find it difficult to attain. They have approached this task from an ecumenical perspective and have sought out input from numerous mainline and evangelical traditions. Course work can be done from a wide range of theological perspectives and at various levels of achievement. PTS is non-traditional because its state of the art online programs will enable students to earn a certificate or degree with no classes to attend, no required courses that do not relate directly to the online degree (or individual course work) they are seeking, as is often the case in a traditional setting. Providence Theological School, like many other Christian education ministries ,has full theological accreditation and is accredited by the World-Wide Accreditation Commission of Christian Educational Institutions located in Richmond, VA. (Not to be confused with the Worldwide Accrediting Commission located in Cannes, France, which exists as a front for non-religious diploma mills), and is also a Member of the United States Distance Learning Association (USDLA). PTS is geared to work closely with local judicatories (Dioceses, Conferences, Synods, Churches, etc. ), tailoring courses to meet their specific needs and requirements. This includes reading assignments as well as the opportunity to have individuals they select to evaluate their own particular student’s work. For further information, go online to ProvidenceTheo.org or contact the Rev. Paul E. Mottl at Dean@ProvidenceTheo.org. Providence Theological School will be offering a weekly “Seminary Primer” seminar for the interns at Resurrection House. Resurrection House is an urban Christian community in Omaha, NE for recent college graduates. Participants live together for nine months in a home located adjacent to the most culturally diverse and direct-action outreach oriented Episcopal parish in Nebraska. The Resurrection House program emphasizes personal discernment, communal prayer and simple living. The program includes pastoral oversight, spiritual direction, and mutual mentoring with peers. The “Seminary Primer” program will open the interns to what they might expect in the academic aspect of seminary. Areas to be explored will be Theology, Biblical Studies, Ethics, the Prayer Book and Church History. The program will begin as part of a retreat program at the Benedictine Monastery in Schuyler, NE, in early September 2008. Postulants and candidates to the Diaconate may now participate in online learning for the fall term of diaconal formation. The online program also is available to all persons interested in furthering their Baptismal ministry. In 2007-2008, participants registered on in the Nebraska School for Baptismal Ministry were engaged in both classroom and online studies using the curriculum of Providence Theological School. According to the Rev. Jim Visger, Archdeacon, Diocese of Nebraska, participants found the online material to be well presented, grading and other responses were timely and there is an option of online chat. "As chair of the Diaconal Formation committee, I support and recommend online study as a reasonable alternative to spending time and gas driving to a study site several times a year," Visger said. Providence Theological School offers nearly 175 courses online. Academic courses appropriate in preparation for local ministry include: Beginnings of the Old Testament, Beginnings of the New Testament, Introduction to Theology, Introduction to Christian Ethics, Early Church History and The Episcopal Church in the United States. Courses are $125 each and an accumulation of them can lead to a degree or certificate. Online participants from Nebraska are exempt from the one-time registration fee of $50. At the completion of each course, participants receive a copy of their transcript, including an evaluation of the individual level of participation. 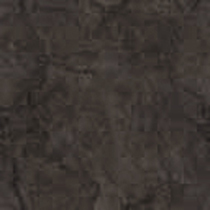 For further information about Providence Theological School, go to their Web site providencetheo.org.